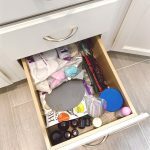 Makeup is one area in the bathroom that can get cluttered quickly. We all want to try a new foundation or concealer but what happens to the old one that you never use? 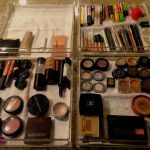 If you keep buying more and never get rid of any you will spend unnecessary time searching through all your makeup for that one lipstick or blush at the bottom of an endless pile. 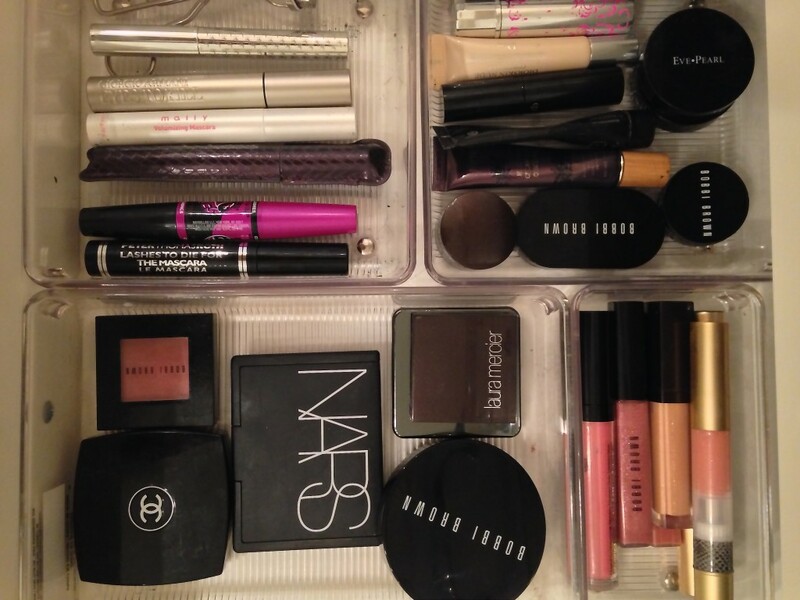 Here are a few simple steps to organize your makeup. Throw out anything that has expired or you never use. Just because something costs a lot of money does not mean you have to keep it. 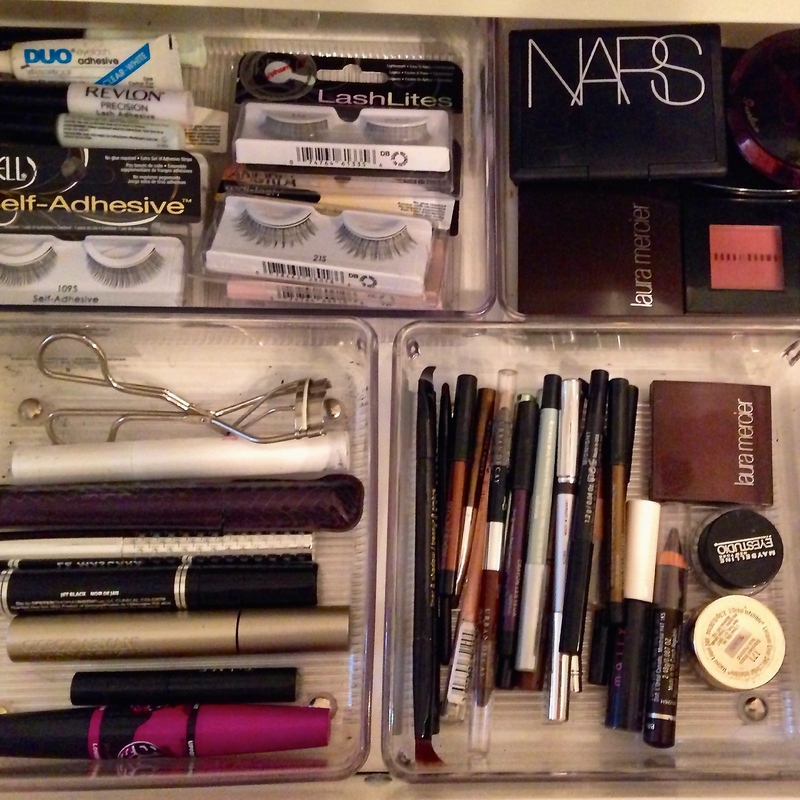 Separate your makeup into categories so you see what you have. 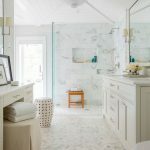 It will prevent you from overbuying. Use drawer organizers. 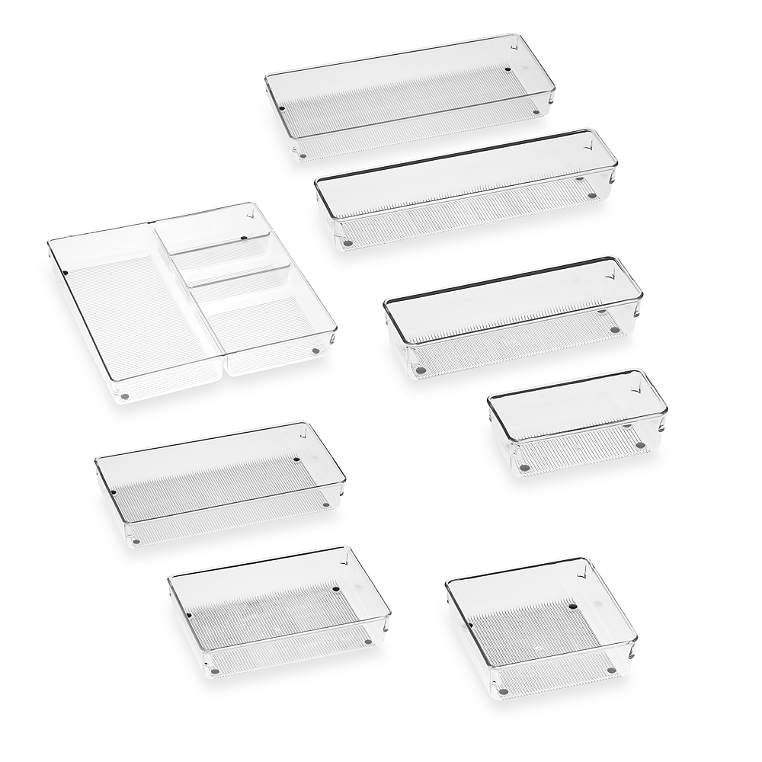 These acrylic drawer organizers from Bed Bath and Beyond come in different sizes to customize any drawer. Simplify your daytime makeup routine. This 4 Minute Makeup Video from Maskcara is one of my favorites. Free gifts with purchase are nice but if you don’t need them give them away. 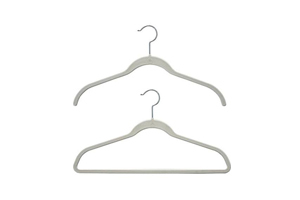 Uncluttering a makeup area will simplify the process of getting ready by having just what you need at your fingertips.